Is Diffuse Alveolar Haemorrhage due to Tirofiban Treated with ECMO? 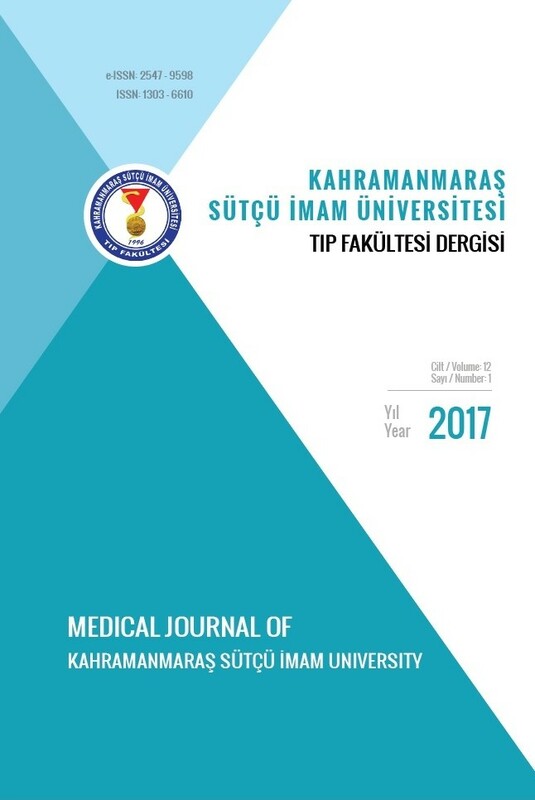 Tirofiban'a Bağlı Diffüz Alveolar Hemoraji ECMO ile Tedavi Edilebilir mi? Thrombocytes play an active role in the development of acute coronary syndromes. The use of Glycoprotein (II) IIb / IIIa inhibitors for platelet inactivity during Percutaneous Coronary Intervention (PCI) may lead to major cancers with critical preservation of ischemic complications. Diffuse alveolar hemorrhage is a rare but life-threatening complication that can be caused by glycoprotein IIb / IIIa inhibitors. We have a 46-year-old woman with acute inferior myocardial infarction who underwent primary PCI and developed diffuse alveolar haemorrhage after tirofiban therapy. We present the patient are trying to treat with ECMO device application. 1.Ibanez B, James S, Agewall S, Antunes MJ, Bucciarelli-Ducci C, Bueno H,et al. 2017 ESC Guidelines for the management of acute myocardial infarction in patients presenting with ST-segment elevation: The Task Force for the management of acute myocardial infarction in patients presenting with ST-segment elevation of the European Society of Cardiology (ESC). Eur Heart J. 2017 Aug 26. 2. Conley M, Patino G, Romick B, Almaleh M, Campbell C, Hawkins K, et al. Abciximab-induced alveolar hemorrhage Texas Heart Institute Journal Diffuse Alveolar Hemorrhage 103 after percutaneous coronary intervention. Can J Cardiol 2008;24(2):149-51. 5 .Yilmaz MB, Akin Y, Biyikoglu SF, Guray U, Korkmaz S. Diffuse alveolar hemorrhage following administration of tirofiban in a patient with acute coronary syndrome: a fatal complication. Int J Cardiol 2004;93(1):81-2. 6 .Gill DS, Ng K, Ng KS. Massive pulmonary haemorrhage complicating the treatment of acute coronary syndrome. Heart 2004;90(3):e15. 7 .Fernandez-Perez GC, Vazquez M, Delgado C, Velasco M, Vazquez-Lima A, Rodriguez-Perez J. Pulmonary hemorrhage in a patient with acute coronary syndrome. AJR Am J Roentgenol 2007;189(3):W135-7. 8.Ener RA, Bruno N, Dadourian D, Wolf N, Van Decker W, Burke J, et al. Alveolar hemorrhage associated with platelet glycoprotein IIb/IIIa receptor inhibitors. J Invasive Cardiol 2006;18(6):254-61. 9 .Guo J, Xu M, Xi Y. Tirofiban-induced diffuse alveolar hemorrhage: after primary angioplasty. Tex Heart Inst J. 2012;39(1):99-103. Review. 10.Mosier J, Kelsey M, Raz Y, vd. Extracorporeal membrane oxygenation (ECMO) for critically ill adults in the emergency department: history, current applications, and future directions. Crit Care. 2015;19:431.